As it gets colder we’ll be warming our ears with the new vinyl release from Yeah You, who played the festival in 2016, and recorded this new record in the back of the car whilst driving across Holland. 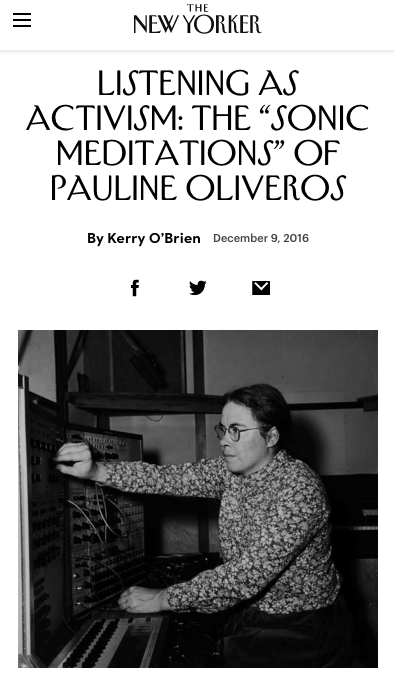 We’re also remembering one year ago when the late composer Pauline Oliveros was in Bergen for a special Listening Club – read this great article on her work and the politics of listening. Plus, if you’re in town, we’ll be heading out to Vil Vil Vest, to hear the more experimental end of their programme this year, and great local bands Building Instrument and Cakewalk.